Former Secretary of State says she used private emails out of "convenience", admits it "would have been better" to have two accounts. Former United States Secretary of State Hillary Clinton on Tuesday told reporters she used private emails out of "convenience" during her time in office, but admitted it "would have been better" to have two accounts to separate work and personal emails, according to the BBC. The issue of whether Clinton breached federal records rules has gained attention as she is expected to announce a run for president. The New York Times revealed a week ago that Clinton used a personal address during her entire four years as secretary of state. The Federal Records Act requires that government officials retain all of their written correspondence. As well, under specific guidelines signed into law by President Barack Obama, government e-mail accounts are supposed to be used in any situation involving official business. Speaking Tuesday at a news conference after addressing a UN session on empowering women, Clinton told reporters why she set up a private email system during her time as secretary of state. "I thought using one device would be simpler; obviously, it hasn't worked out that way," she said, according to the BBC. Clinton said she and her lawyers made the decision over what would be considered personal email when the state department asked for records from former secretaries of state. The emails deemed personal were about half of the 60,000 emails in total she sent during her time in office. The state department said it would release the emails they received, about 55,000 printed pages in total, after a review. In the wake of the revelation, the House Select Committee on Benghazi said last week it would subpoena Clintonmail.com for all correspondence related to the 2012 Benghazi attack. 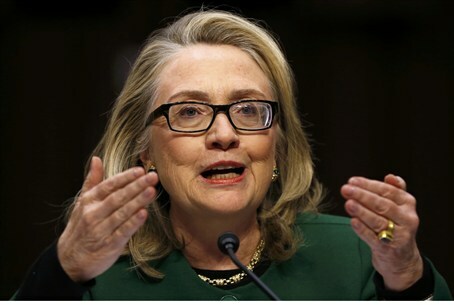 Clinton and the Obama administration have been criticized over their handling of the September 11, 2012 attack at the Benghazi consulate, in which the American ambassador to Libya and three others were killed. Republicans allege security failings led up to the attack and have also claimed there was a possible cover-up over Al-Qaeda's role in the attack. In a testimony in 2013, Clinton said she took responsibility for the September 11, 2012 attack and cited a "personal" commitment to improving security provisions for U.S. diplomatic missions overseas. Texas Republican senator Ted Cruz has said he believes Clinton purposely prevented the public release of details pertaining to the attack.